Author Emily Carmichael has won three Reviewer's Choice Awards from Romantic Times for her highly charming romantic comedies. In the follow-up to her immensely popular Finding Mr. 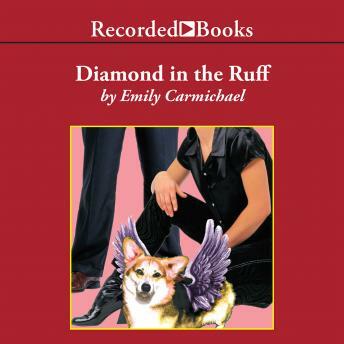 Right, Carmichael reintroduces Lydia, an angel stuck on earth in the body of a Welsh Corgi named Piggy. When Lydia finally found the perfect match for her best friend Amy, she was certain that heaven would be just around the corner. She was wrong. Blackmailed into another matchmaking, Lydia is still stuck on earth in the body of the same cute little dog. But don't underestimate her because of her small size--she's got more schemes for stalling weddings and playing Cupid than dogs have fleas. Diamond in the Ruff is as warm and enjoyable as a cozy lap. Featuring a hilarious reading by inimitable narrator Barbara Rosenblat, this book will have listeners barking with laughter.